A TransWA family pass is less than $20 and lasts for the whole day. We will often catch a train into the city and spend the day window shopping, using the City Clippers (free) to get around. Then catch the ferry across the river. The kids love the novelty of the bus/train/ ferry and it’s a great chance to teach them manners, etiquette, and get them out and about. You don’t have to spend much for a day of fun! As an adult it can seem pretty pointless to just ride around with no goal in mind, but my kids often have a ball, and we generally find something to amuse the family along the way. It’s a botanical wonderland, and a cool, green escape right next to the city, and if you can’t tell, I love it. 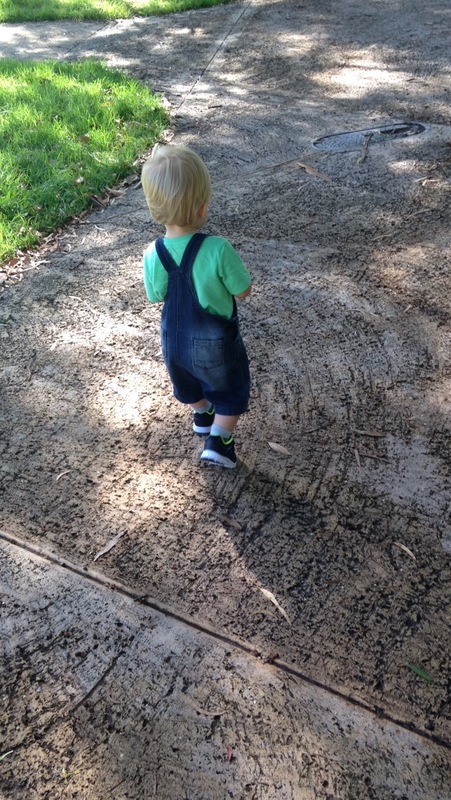 If you have bigger kids (or one in a pram) you can walk from the city into Kings Park, though I warn you it is uphill. Otherwise there is plenty of free car parks scattered around. 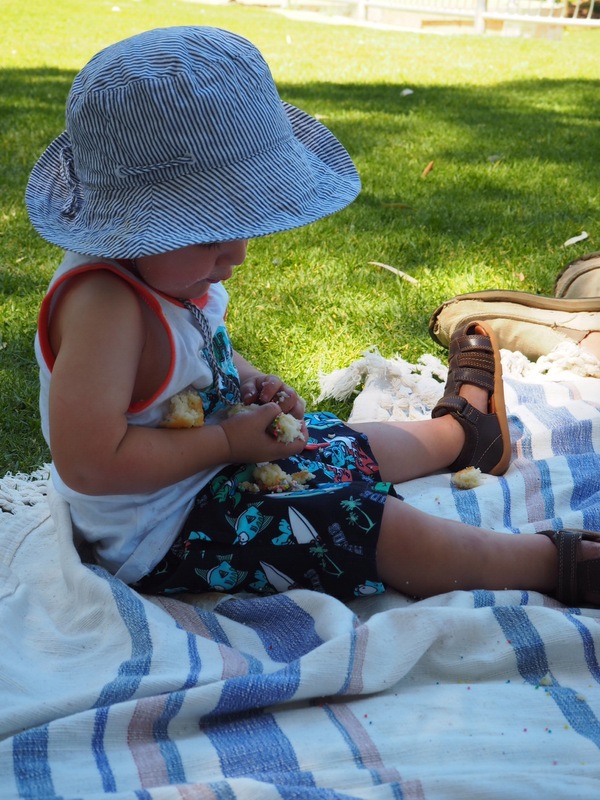 Kings Park has a smorgasbord of playgrounds and things to keep everyone entertained, and is somewhere we always visit for some good, clean, free fun for the kids. The Ivey Watson Playground has a cafe that does fantastic coffee, and this visit we took a picnic rug and morning tea with us and sat under the trees in the shade while the kids played, this playground is suited to younger kids (I’d say under 5) and was perfect for Charlie and our 2.5 year old friend, though Hunter and Max also enjoyed it too. Synergy Parkland is for older kids, and I will warn you now, has a large (though shallow) lake that surrounds one of the playgrounds. 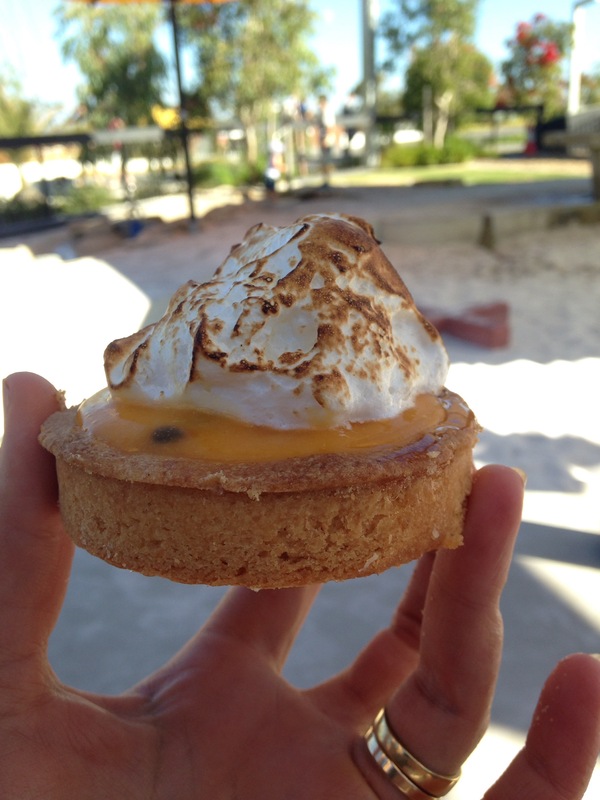 It is full of adventure and has lots of picnic areas, and is really suited to kids older than 5 that will stay out of the water (hopefully) and will enjoy heights and imaginative play opportunities. Zamia Cafe, which over looks this play area, is a gorgeous place for breakfast, we have taken my Grandmother out and there was plenty of space for a walker and pram, though it was very busy. 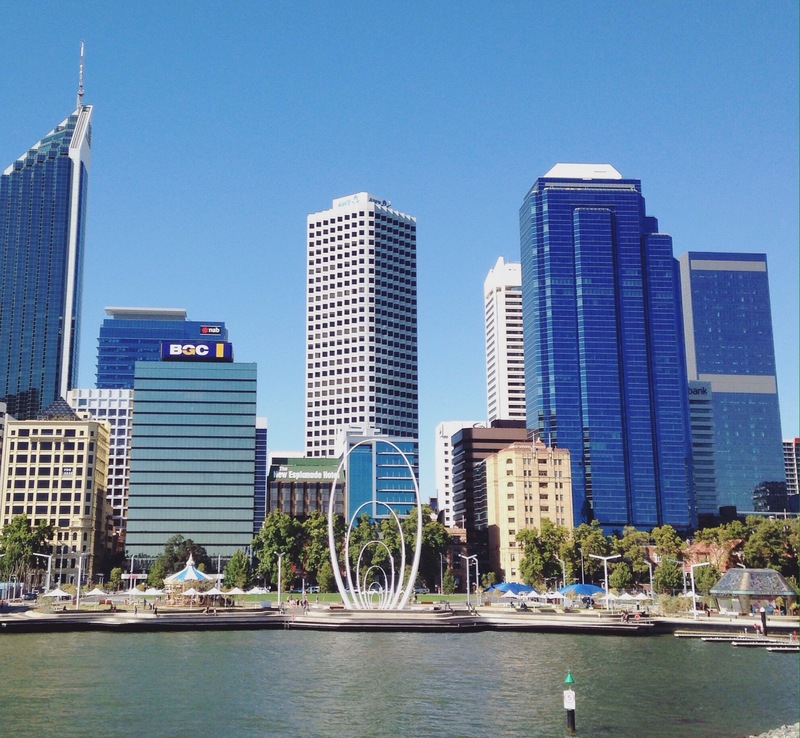 There are too many different areas that you can visit in Kings Park for me to list them all for you, but I can definitely say it is worth a visit or two. 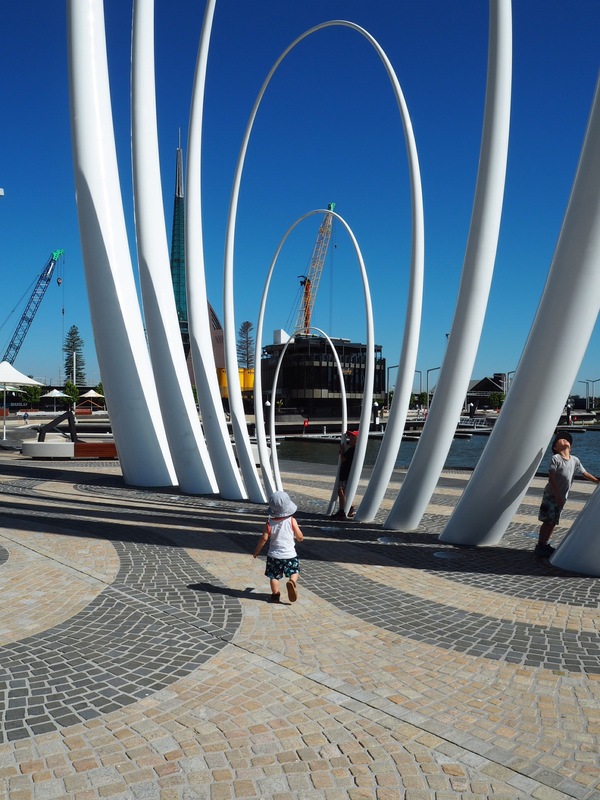 The almost completed Elizabeth Quay is a gorgeous place to visit. Both the train station and ferry terminal are right there so catching public transport there is a good idea as parking is limited (though we had no problems finding a spot) and does cost. 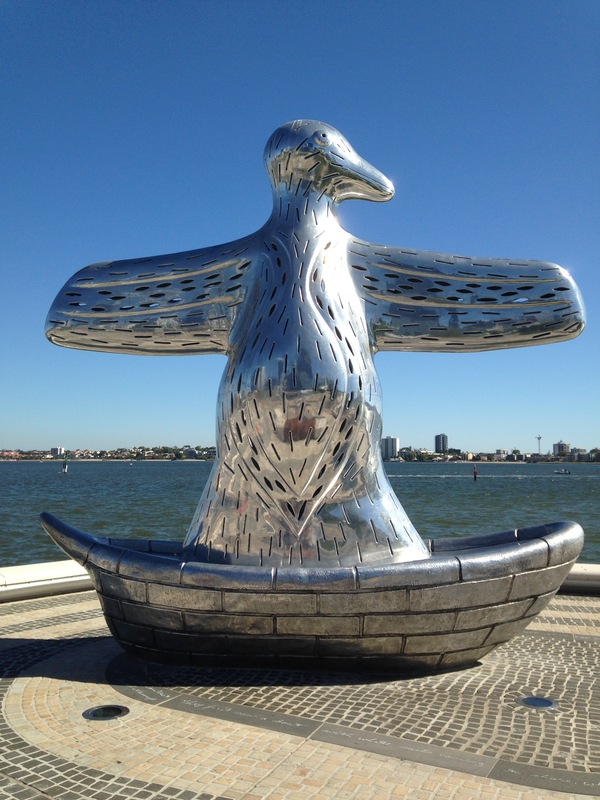 The ‘Giant Paperclip’ as Hunter and Max have accurately named it, is the perfect place for a picture, with the Swan River framed behind you. Charlie enjoyed playing peek-a-boo around the pillars and getting into all the tourist’s photos. 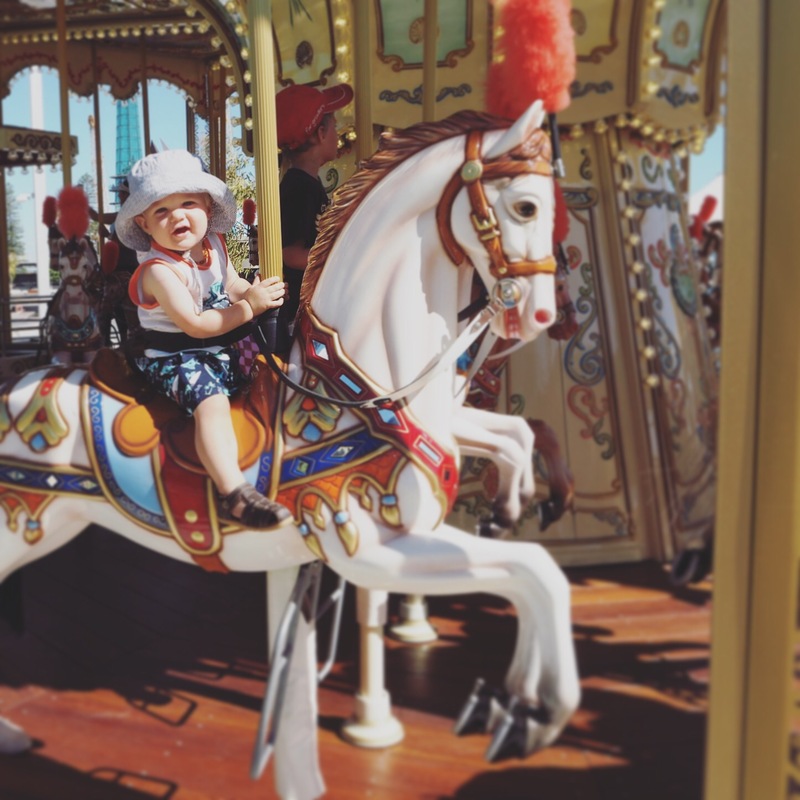 The carousel is beautiful and the kids had a ball on it, though it isn’t a must. For the 3 kids (and myself standing next to Charlie) is was $12, which I thought was well worth it, the ride went for a decent amount of time and the kids loved it. 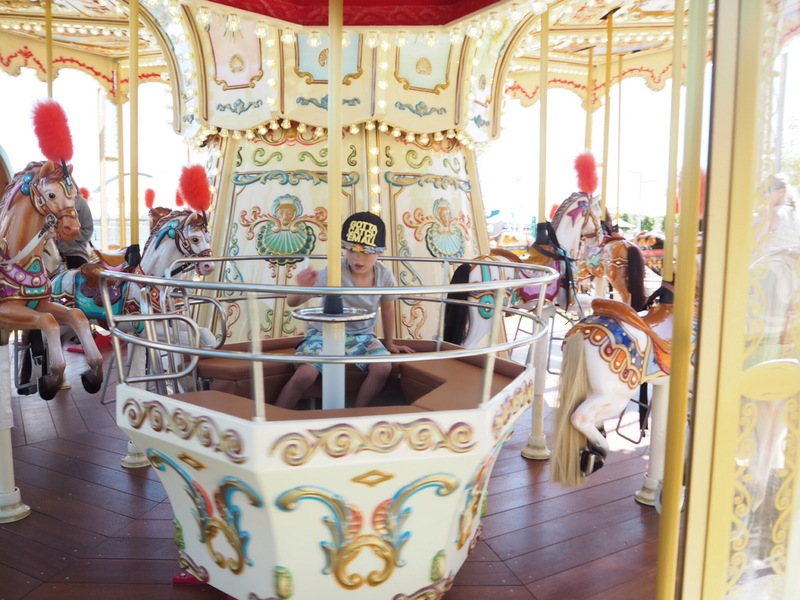 Apparently the carousel was hand painted in Italy, and it shows, as it is really a feast for the senses with a cool breeze and the music playing, though I doubt the boys really appreciated those subtleties. 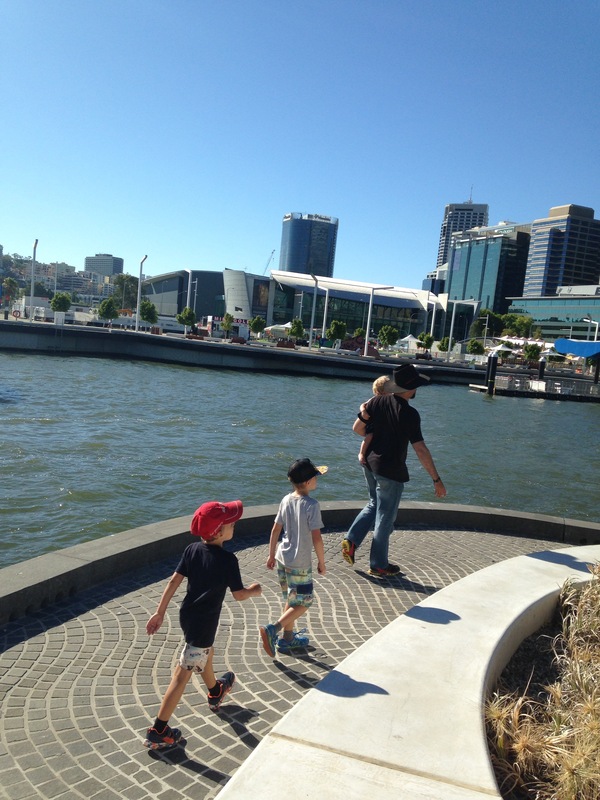 Elizabeth Quay makes for a gorgeous family walk, though if you have really young kids or a child that runs away I’d suggest you carry them or take a pram as there are areas that drop straight into the river with no railing! The sculptures and view make the trip worth the walk over the bridge and back around the quay, and if you look carefully you will find a little gem of a playground. We were lucky enough to find it and spent a very enjoyable hour there. Phill even ducked into the cafe next door while the kids were occupied and brought back a pastry to share, which was divine. Definitely worth a few hours, and a walk around, I’d suggest early to mid morning or mid to late afternoon if you are there in summer as there is very little shade. I enjoy window shopping, though lets face it, its definitely not as fun with kids, but taking a walk through Forrest Place and the city center is lots of fun. You can check out London Court, where the old cuckoo clock puts on a show every hour, check out the street art, buskers and statues scattered around. The water labyrinth in Forrest Place is fantastic, and attracts kids (and kids at heart) to it even in winter. As an added bonus there is often free kids activities on in the holidays- my children loved the winter wonderland last year, and asked if it wold be back there again this visit. If your kids are older, it is also a fantastic chance to expose them to other cultures and people, we had a good chat about families that look different and how different people live, which our country kids don’t always get exposed to. So there you have it! Each of these options can be as expensive as you make it, working for almost any budget. We try to take our snacks and drinks with us, and sometimes a packed lunch if we have space, which certainly cuts down on our costs. 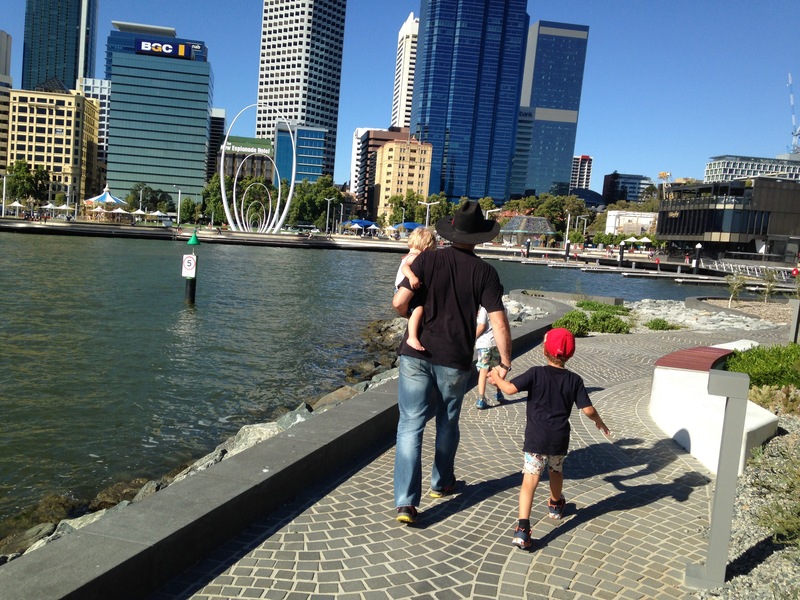 We are lucky to have friends and family to stay with most of the time we visit Perth but have found the Ambassador Hotel to be central and on the cheaper end of the hotel spectrum, and Central Caravan Park is perfect for a family, with affordable cabins and lots of green space to run around in (and a pool). 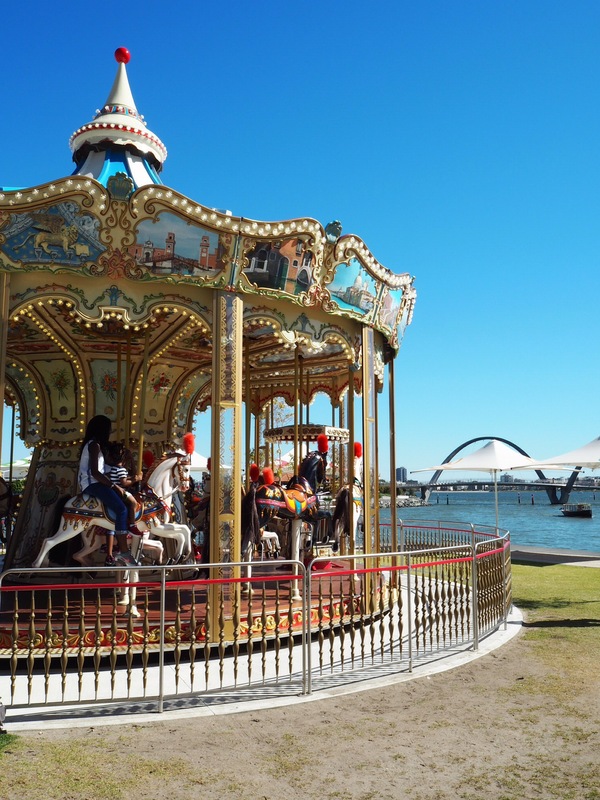 If you want to do something a little less ‘budget friendly’ to do on a day out, check out the Perth Zoo, which is full of animals and is a lush oasis in the city, it’s our favorite place to visit in Perth.